Opioids: Are RLS patients getting caught in the crossfire? 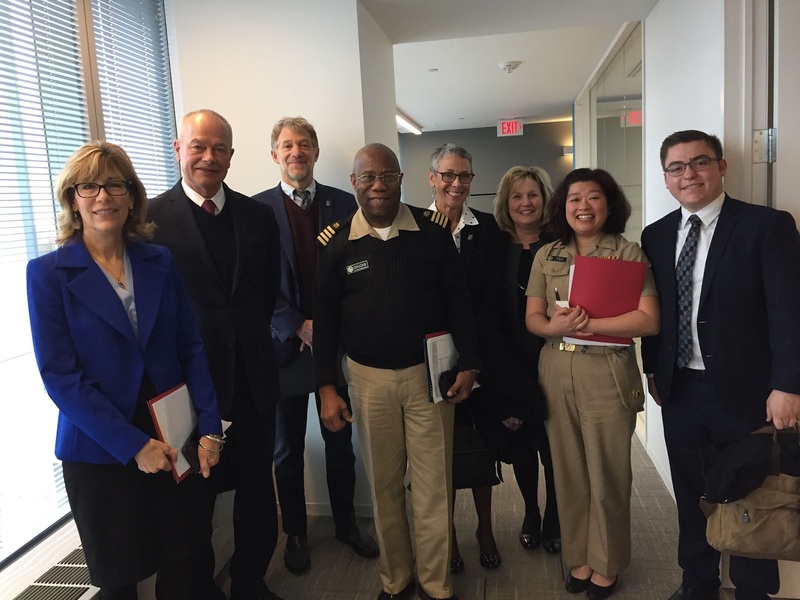 In November, an RLS Foundation delegation again joined the Health and Medical Counsel of Washington (HMCW) in Washington, DC, to visit the offices of legislators and federal agencies involved in health care policy. The meetings took place at a critical juncture in the midst of the nationwide opioid crisis. The government is moving to implement H.R. 6, the SUPPORT for Patients and Communities Act. This law, passed in October, calls for tactics to promote treatment and recovery from opioid addiction, and to improve prevention. Many people with severe RLS find themselves caught in the crossfire. Even though there is no federal legislation or policy that prohibits prescribing opioids for RLS, the increased scrutiny of prescribing practices has physicians increasingly reluctant to use them; some have stopped prescribing opioids altogether. "The Foundation's opioid advocacy initiative has already made significant progress, but the issue is far from resolved,” says Lew Phelps, chair of the RLS Foundation Board of Directors. “We were successful in ensuring that Congress didn't include anything in the recent opioid legislation that would have harmed the ability of RLS patients to obtain needed and appropriate treatment. However, the implementation of this legislation still presents potential challenges. We have to stay engaged to help ensure that physicians continue to be allowed to prescribe opioids for RLS." 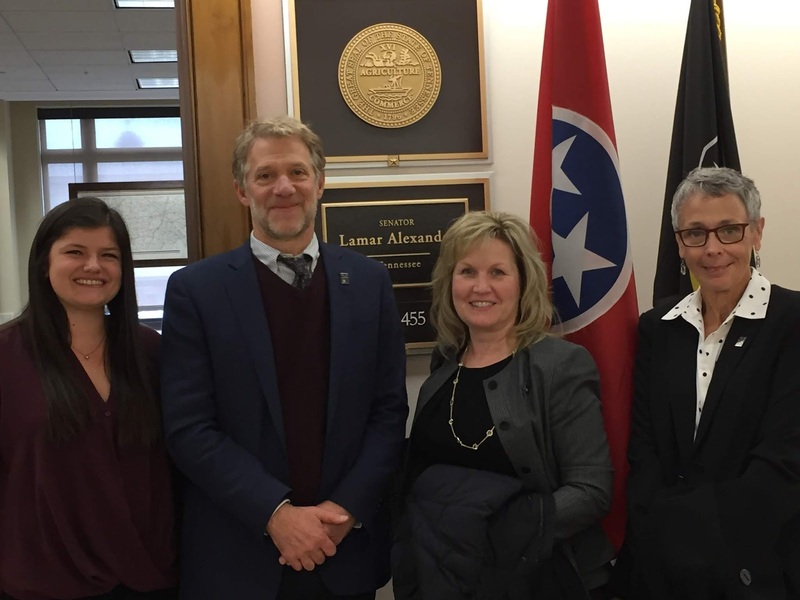 In the DC meetings, a Foundation team led by Executive Director Karla Dzienkowski emphasized that opioids are a legitimate and critical treatment for severe RLS. About 1 in 33 Americans – 3 percent of the US population – has RLS that is severe enough to need daily medical treatment. When all other treatments have failed, opioids at low total daily doses are highly effective at alleviating RLS symptoms, and clinical guidelines are available for healthcare providers to use them appropriately. “It’s important to spread the word that there are medically appropriate uses of opioids taken in low total daily doses,” says John Winkelman, MD, PhD, director of the RLS Quality Care Center at Massachusetts General Hospital. “We need to help doctors with safe prescribing – not overprescribing, but more effective and safe prescribing.” With support from the RLS Foundation, Dr. Winkelman is conducting a study to better understand the long-term safety of opioids in RLS. Dr. Winkelman and Jeffrey Durmer, MD, PhD, of Fusion Health, joined the delegation on behalf of the Foundation’s Scientific and Medical Advisory Board. Sandra Katanick represented the RLS Foundation Board of Directors, and also the RLS patient community. In the meetings the Foundation also stressed the importance of federal funding for research for the National Institutes of Health and the Department of Defense, both of which have growing portfolios in sleep disorders research. 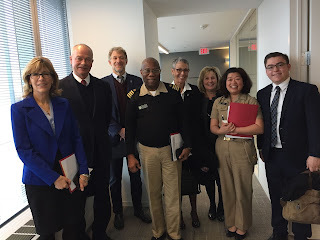 The Foundation team met with the US Department of Health and Human Services (HHS) Pain Management Inter-Agency Task Force, led by Vanila Singh, MD. The new opioid legislation requires HHS to study the impact of federal and state laws and regulations that limit opioid prescribing and submit a report to Congress. The Pain Management Inter-Agency Task Force is specifically charged with finding any gaps or inconsistencies in existing clinical best practices for managing acute and chronic pain. The Foundation also met with the Centers for Disease Control and Prevention (CDC), which has issued a guidelines for prescribing opioids for chronic pain; and with the Substance Abuse and Mental Health Services Administration (SAMHSA), whose representatives sit on advisory groups to health care policy committees and working groups throughout the federal government. These meetings were a strong first step in building relationships within the two agencies. In follow-up, the Foundation will meet again with the CDC in December. The RLS Foundation met with staff in the offices of Sen. Lamar Alexander (R-TN), Sen. Elizabeth Warren (D-MA), Sen. Bill Nelson (D-FL), Sen. Kamala Harris (D-CA), Sen. John Cornyn (R-TX), Sen. Johnny Isakson (R-GA), Rep. Rosa DeLauro (D-CT), Rep. Frederica Wilson (D-FL), Rep. John Yarmouth (D-KY) and Rep. John Lewis (D-GA). Many of the Congressional staff members said that they are hearing from their constituent communities about barriers to treatment or providers unwilling to prescribe opioids in light of the new law. The meetings were coordinated by HMCW, a government relations organization with nonprofit and health care industry expertise that is partnering with the RLS Foundation to guide its advocacy efforts. Also attending were Kris Schanilec of the RLS Foundation; and Dale Dirks, Dane Christensen, and Peter Herzog of HMCW. To make a financial gift in support of the RLS Foundation Advocacy Initiative, visit www.rls.org. Read about the Foundation’s advocacy trips to Washington in February and June 2018. Watch for a complete update on RLS advocacy in the next issue of NightWalkers magazine, coming in February.